No matter if you're more of a crunchy versus creamy person, store it in the pantry or the fridge, eat it plain or on a sandwich, there's no denying that peanut butter is the miracle of all foods. But it's not just for eating though. Peanut butter is actually much more versatile than being the chosen dip for your Oreo. You can use peanut butter, like Jif, for anything from repairing wood floors to getting that stubborn stain out of your couch. It also has quite the plethora of beauty benefits, too, as a moisturizing shaving cream or a conditioning, homemade hair mask. The oils in peanut butter are really good for your skin. If you find yourself out of shaving gel, just slab some on and get shaving. Plus, it won't ruin your razor. Use peanut butter to remove stains and scratches on leather. Using a quarter-sized dollop, apply the peanut butter to the stain and scrub with a buffing washcloth or dry sponge. 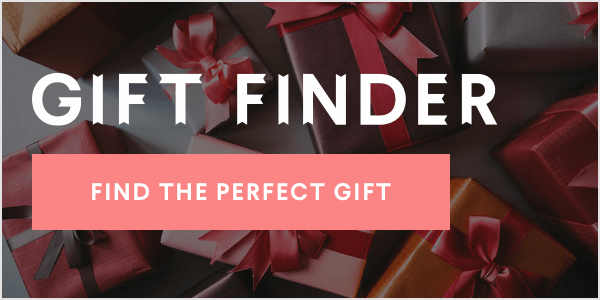 It works well on clothes, bags, shoes, furniture and more! You're probably already aware of this age-old trick. Rub the gum with peanut butter and voila, you're free! If you notice your favorite DVD freezing or skipping over scenes, just dab a bit of peanut butter on it and wipe away with a dried cloth. It'll be as good as new! Squeaky door or restless wood floor? It's nothing that a little bit of peanut butter can't fix. Add a little bit to a rusty hinge or a floorboard and you're good to go! It's the most frustrating thing when you come home with a new bowl or vase, only to find a stubborn price tag at the bottom. There's no point in fretting -- start peeling just the slightest bit and then add some peanut butter to get rid of the sticky residue and paper remnants. 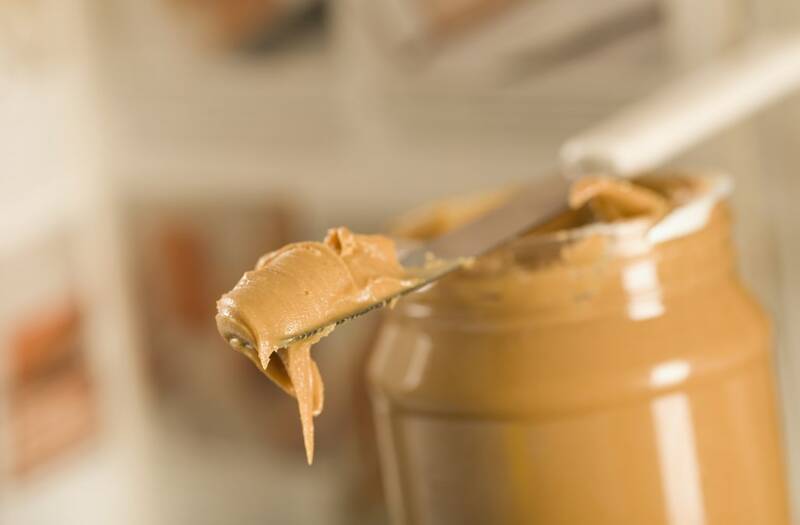 Whether you notice a roughed-up door or drawer or floorboard, peanut butter can actually help mask its scratches. Use peanut butter to smooth it out and wipe it away with a washcloth -- then it'll be almost invisible! If you haven't heard this one before, it'll change your life! Add a dime-sized bit to the bottom of the cone -- and you can forget about unwanted drips and messes for life! If you have a pan or cutting board that perpetually smells like onions, peanut butter can be the ultimate hack. Scrub with some peanut butter and let it soak and it'll smell as fresh as new! If you're having trouble getting your child to take their vitamins, or your pup to take their medication, mask it with peanut butter. Disguise the taste with the pill inside a tablespoon of the butter. If it's good enough to eat, it's good enough to put in your hair. Make a homemade peanut butter mask and let it soak on your scalp for 15 minutes for shiny locks! Scroll through above to see all of peanut butter's unusual uses. You'll want to opt for a bigger jar next time you head to the grocery store, trust us! 1. Spray hairspray on curtains to defer dust and dirt. 2. Spray hairspray on clothes to remove lipstick stains. Saturate the stain in hairspray, let it sit for 5-15 minutes. Then toss it in the laundry. 3. Spray hairspray on your kid's laces to stop them from untying! 4. Spray hairspray on bobby pins for better grip in your hair. 5. Spray on chalked sidewalk to preserve your child's masterpiece! 6. Spray on freshly painted nails to make them dry faster and keep polish from chipping. 7. Spray hairspray on thread to stiffen, allowing you to thread the needle easier. 8. Spray hairspray on a loose zipper to keep it from moving around. 9. Spray hairspray on tights to keep the material from snagging even more! 10. Spray hairspray on sweaters to eliminate static! 11. Spray hairspray to remove fur from fabric. Spritz on rag or paper bag, and then rub on couch, rugs or clothing to remove unwanted pet hair. 12. Spray hairspray on Christmas wreaths to make them last longer. Spritz hairspray as soon as you get the wreath to prevent the pine needles from falling out. 13. Spray hairspray on sticky labels to remove the sticker and residue!